Move from performance to passion with this six-week study that focuses on the defining moment of Christianity, as the apostle Paul was able to identify himself completely with Christ. 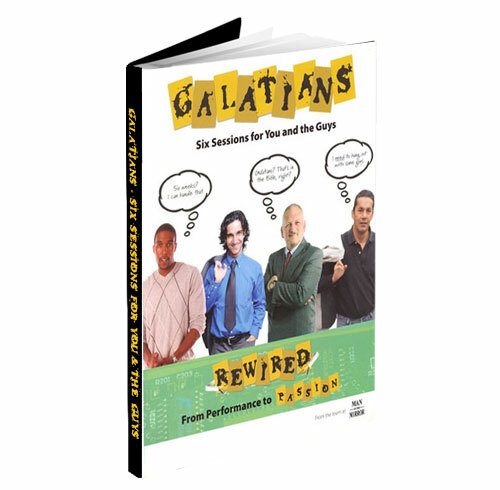 This short workbook takes men through the book of Galatians; each session includes a key verse, Scripture passage, reading, an exercise, and discussion questions. This is designed to be done in a small group setting, but can be done individually as well. Notes for leaders: This resource is perfect for Challenge 2: The Gospel of the Journey to Biblical Manhood. Also, if you’re interested in using an event to kick off small groups with this workbook, check out our Rewired event.